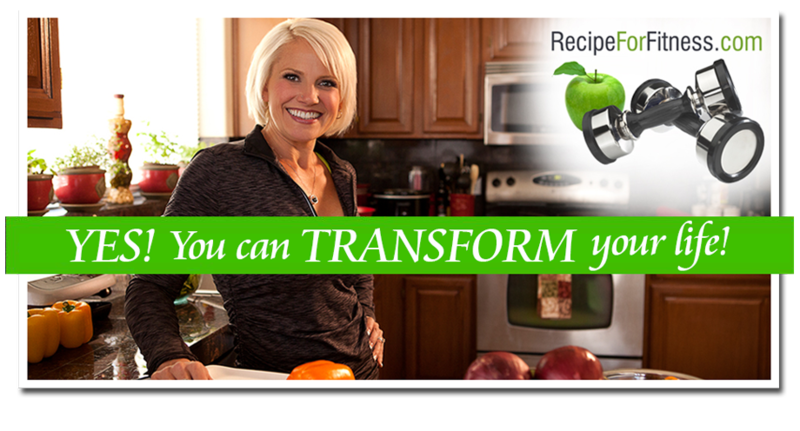 I love quick and simple recipes - ones that are packed with nutrition to fit my needs, as well as easily portable. Let's face it, all too often, convenience trumps nutrition, but when you're on Competition Diet, or you're eating toward a goal, nutrition isn't negotiable. 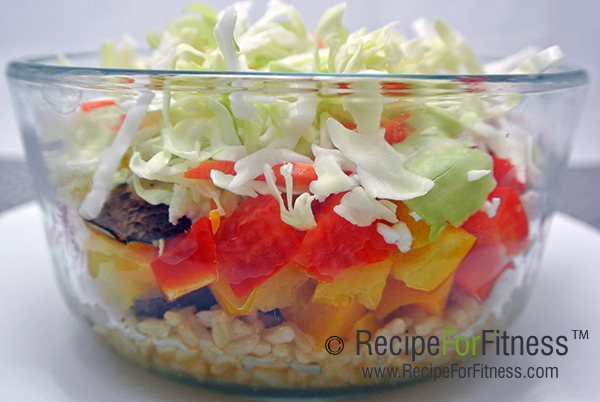 In a microwave safe glass bowl, layer: brown rice, sliced chicken sausage (and any other meat), chopped peppers, sliced mushrooms. Cover and microwave on High 2 - 2 1/2 minutes. Remove from microwave. Carefully remove lid. Sprinkle on Feta, then top with cabbage. Replace lid. Shake before eating to mix up the layers. TIP: *Add Bragg's Amino's for even more flavor! Need more protein? 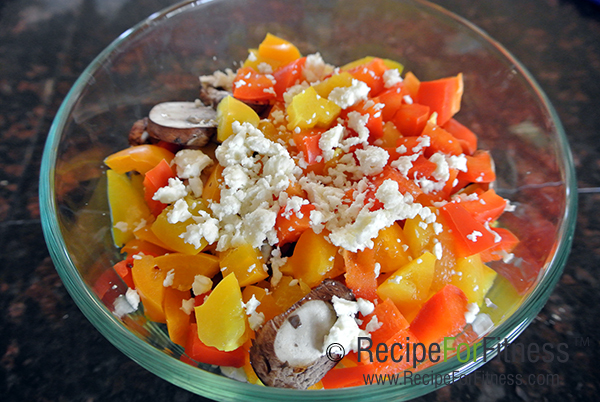 Add cooked chicken breast or ground lean beef. Need fewer carbs? Eliminate the brown rice. TIME SAVERS: Crunched for time? 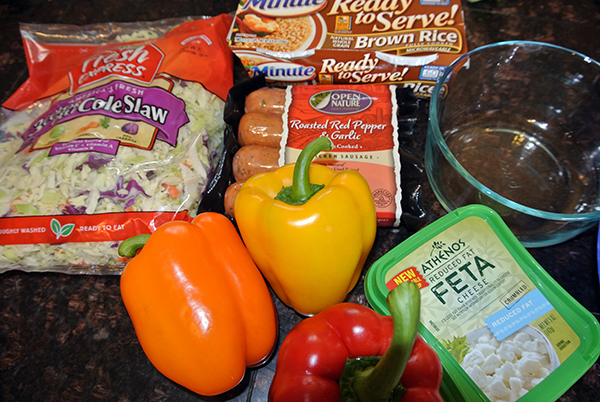 Use pre-cooked rice (you can find it in the frozen aisle or use the Minute Rice cups). Purchase bags of Cole-Slaw mix instead of shredding your own cabbage. NUTRITION 391 calories, 26 g protein, 42* g carbs, 12 g fat, 8 g fiber. * 34 g net carbs.